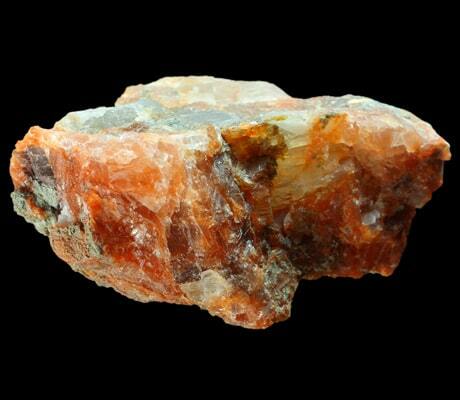 Potash is the term commonly used to refer to the nutrient forms of the element potassium (K). Potassium is plentiful in nature and is required for many of the vital functions that occur in plants, animals and humans. Potash is a vital fertilizer for the worlds food supply. Clay minerals, rain and sea water all contain K. There are sizeable potash bearing rock deposits in many regions of the world originating from minerals in oceans that evaporated millions of years ago. Most potash fertilizer comes from one such potash rock, sylvinite, which requires only separation from salt and other minerals and then suitable preparation for use in fertilizers. 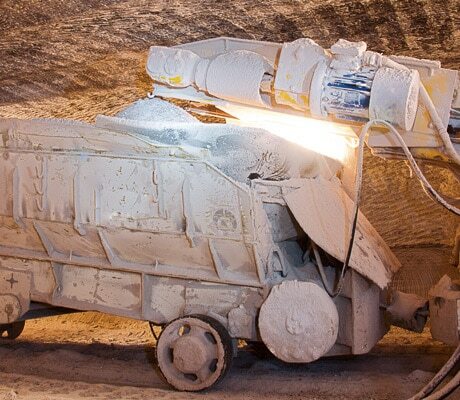 Conventional underground mining using large boring and mining machines is the most common method of potash mining today accounting for a majority of global potash capacity. The mined ore is transported by conveyors to the surface to be milled. Another potash mining method is solution mining whereby heated brine (a solution of salt in water) is injected to extract potash from underground ores. The potash-rich brine is pumped to surface ponds from which the potash is extracted. The extracted potash ore is then milled – the ore is crushed into small pieces to release potash and salt crystals, and agitated to separate the crystals from clay particles which are then removed using size separators. The next step in the process is flotation whereby flotation reagents are added to the mixture of potash, salt and brine. The flotation reagents introduce air bubbles to which the potash can attach and rise to the surface for collection. The correct selection of flotation reagents is critical for successfully maximizing both the amount of potash recovered from the ore and maximizing the purity of the potash by separating out unwanted material. The potash and brine are then transferred to centrifuges for separation, after which the potash is dried. Mesh screens are used to separate the dried mixture into various particle sizes to create standard, granular and suspension grade products. Finer product may undergo additional processing. Finer potash particles can be bonded under high pressure between two rolls to form a solid piece which can then be broken and sized into granular potash. It can also be dissolved again in brine to release smaller amounts of impurities, after which the brine is cooled to produce an even higher grade potash for use in soluble fertilizer and industrial markets. The final potash products can then be transferred to warehouses for storage and transported to customers across the globe. ArrMaz custom formulates process chemicals for specific potash deposits to maximize grade and recovery. Our product line includes flotation reagents, float oils, frothers, pH modifiers, defoamers, flocculants and anti-caking coatings developed specifically for the potash production process. Our technical experts provide process consultation and flowsheet design / improvement to optimize your process performance and product quality. Let us help you maximize your potash deposit potential.